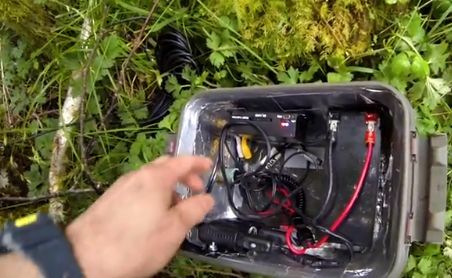 Recently the Washington Sasquatch Research Team (WASRT) set up several cameras in the woods in hopes of catching the elusive Sasquatch on film. These guys don't mess around. They use some very innovative techniques in their research protocol. Watch as they show off their tripwire camera set-up, and then review the footage. hey guys that's mick dodge you are seeing. got fooled. Without people like you we may never get a glimpse of the Sasquatch in its natural surroundings. Thanks for all your hard time consuming work.